The 21st of June was declared by the United Nations as ‘International Yoga Day’ (first celebrated in 2015). During this period of international celebrations of yoga, it is particularly valuable to recall the complex and multi-valiant nature of yoga in the contemporary world. In a recently published article on the Oxford Research Encyclopaedia, I explore ‘The Revival of Yoga in Contemporary India,’ summarising the current state of scholarly understanding of the development of yoga in modern India. In seeking to explore entanglements between yoga, ayurveda and rasaśāstra in the modern period, it is necessary to understand the meanings and resonances of yoga in contemporary India. This is a necessary backdrop to exploring how yoga became enmeshed in state-sponsored health care, as well as understandings of how yoga and ayurveda have become popularly associated as ‘sister sciences’. 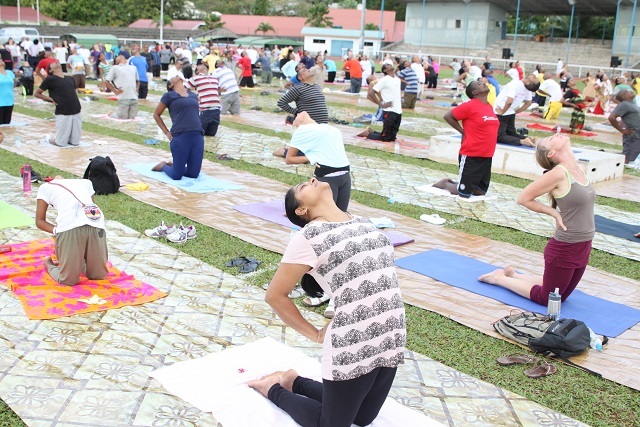 In India, yoga is understood as a unique and valuable cultural resource that has the potential to revitalize both an individual’s health and the Indian nation-state, being an exemplar of the unique insights that Indian traditions can give to the rest of the world.